Clarets Just Need To Calm Down And Carry On. As the Premier League season enters its final lap, it is perhaps worthwhile reflecting on the Clarets progress so far and speculating on what may lie ahead for Burnley supporters in the remainder of the campaign. Up to early December this was looking like the sort of season which Clarets fans could only dream about back in the days when the club were rummaging around in the bottom two divisions. 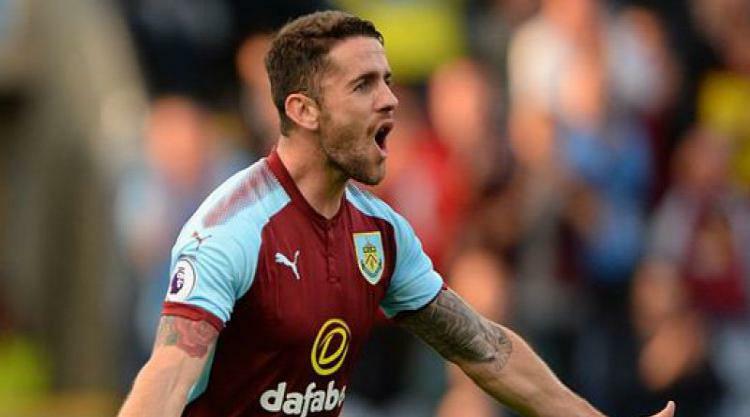 Ascending to the dizzy heights of fourth in the table at one point – a Champions League place – Burnley’s early season form was a joy to behold. The Clarets had established a way of playing which was an object lesson in consistency. Consistency of team selection; consistency of performance and consistency of effort all of which combined to yield consistency of results. Dreamland became “Proudsville”, but that is where the problems began. Since Sean Dyche came up with that now-famous quote, the imaginary town in which he dwelt has become as bleak and run-down as the real town. Burnley have yet to win a game since the “Proudsville” press conference. Hubris? … perhaps. The big six clubs were not about to allow another Leicester-style gate-crash from a plucky underdog and a series of fixtures against four those six saw Burnley defeated by Manchester United, Liverpool and Spurs at home in the league and by Manchester City away in the FA Cup. Whilst those defeats were perhaps to be expected, carelessly squandered points at Huddersfield, Crystal Palace, Newcastle and Swansea were much harder to take. There are mitigating factors; as well as the demanding fixture schedule, injuries have piled up; Burnley have been denied the contributions of Heaton, Walters, Lowton, Ward, Wood, Defour, Brady and Tarkowski for long periods –Defour and Brady for the remainder of the season. Losses on that scale would test the resources of any club (just ask Pep Guardiola!) but for Burnley’s restricted means, it has been doubly damaging. Robbie Brady had just rediscovered his full form and was inspiring the Clarets probably better than anyone else. His loss to injury has been monumental. It is also worth considering the theory that the injuries Burnley have suffered are not merely a run of bad luck, but rather the product of the high-intensity with which the Clarets are obliged to perform in order to win games. Burnley spent the first third of the season applying that intensity to produce a number of victories by the odd-goal; the second third has seen them on the wrong end of those tight margins and their players picking up injuries. Refereeing decisions haven’t helped either. Supporters of most clubs tend to feel that officials are lined up against them; but in Burnley’s case, that paranoia is more justified than most. Burnley have yet to receive a penalty decision in their favour this season; whilst opponents (Arsenal and Spurs in particular) have benefitted hugely from refereeing largess. The upshot is that from looking as though Burnley would ease past forty-points by Christmas, here we are in late February, and that mark has yet to be breached. It isn’t all doom and gloom; firstly and most importantly, there is no serious threat of Burnley becoming embroiled in a relegation struggle, it may well be that the thirty-six points already in the bank would prove to be enough. Moreover, the fixture list from here on in takes on a kindlier aspect; of the teams currently above Burnley, only a visit from Chelsea and a trip to Arsenal remain to be navigated. And let it not be forgotten that as this is written, Burnley remain seventh in the table, as the teams below them clamber over one another in a bid to escape the clutches of the bottom three. Neither have the performances been, by and large, poor; a stirring effort in the last home game against the champions in waiting Manchester City earned both a point and a back-handed compliment from Senor Guardiola who described Burnley as that most “English of teams”. If Burnley can recreate their best form over the remainder of the season, holding on to that seventh position would represent a huge testament to the work done by Dyche and his players. And depending on how the various cup competitions pan out, seventh place could well carry with it an invitation to European football next season, and wouldn’t that be something? This article was written by Dave Thornley who contributes regularly for Clarets Mad (TEC).